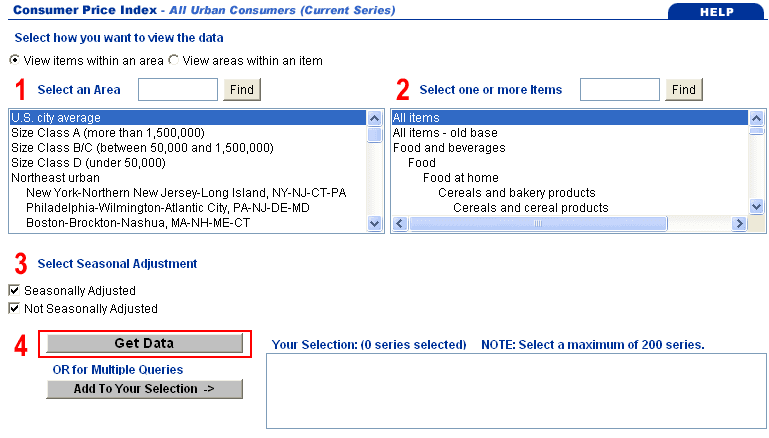 If you want to proceed quickly, select "US city average" for "Area" and "All items" for "Items". These are usually OK.
On the other hand, CPI can be different per location and items. 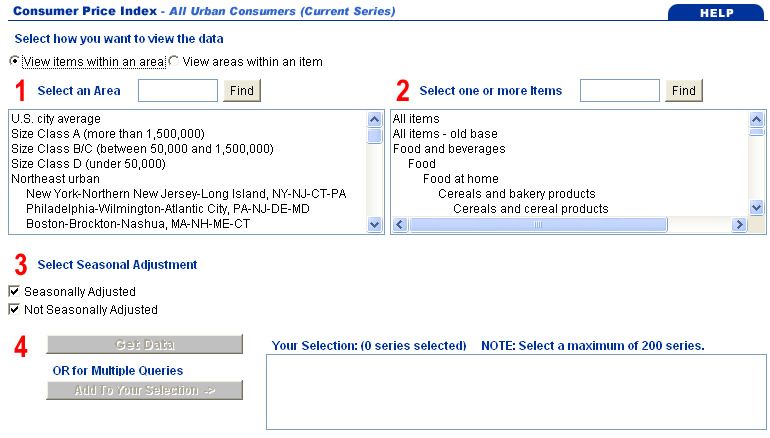 If you want to know the historical CPI of a specific area or a specific group of consumer goods then select them from the list. If both default time frame (30 years) and default output format is OK for you, press "Download .xls" and data file will be downloaded at once. Carry on with next steps otherwise. 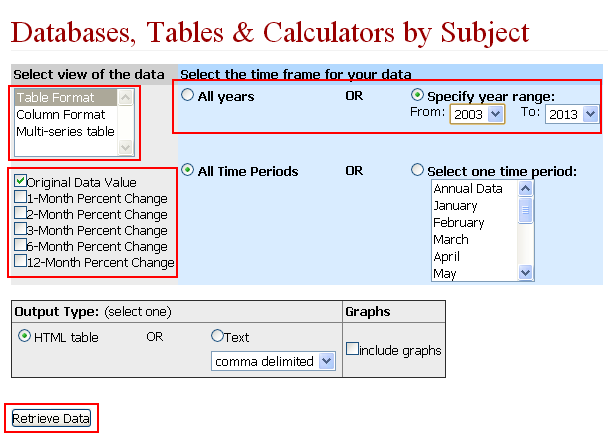 You can change download time interval with the drop down lists marked with red on the image below. You can extend the time frame back until 1913. You can download data file by clicking "Download .xls" if nothing else needs to be changed. You can also change the appearance of the result. Click "More Formatting Options" to do so. 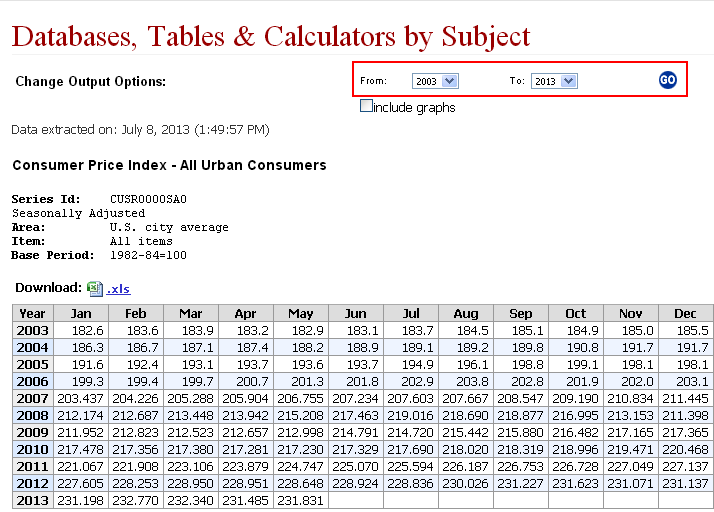 You can change output format from year-month table to simple columns or rows. 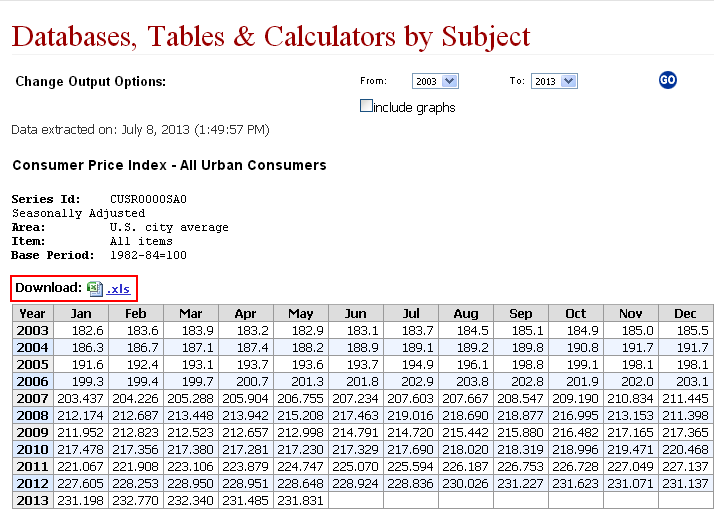 You can add time series to output monthly, 2 month, ... annual change in order to have both CPI data and inflation data in the result. 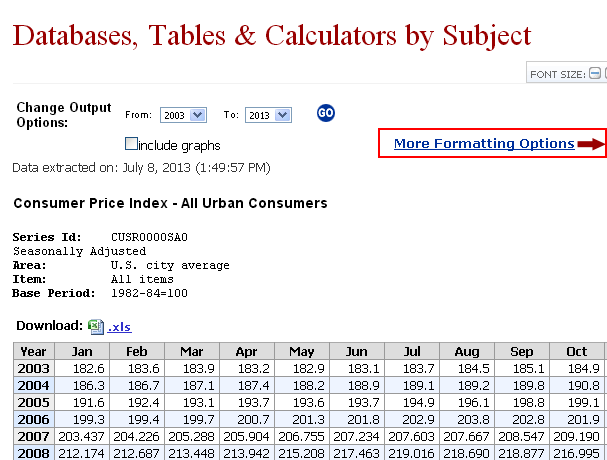 If you keep "Output type" as HTML table, then you can download data in .xls. If you change it to Text, then you will get a text file delimited with comma or tabulator, depending on your settings.